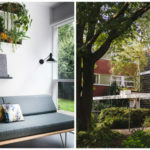 The directors of the company, Matt Gibberd and Albert Hill, have selected some of the "most iconic houses" that they've marketed over the last decade. Its 160 pages are divided into four sections – town houses, conversions, country houses and apartments – and includes properties in the likes of the Isokon Building and the Barbican, as can be seen in the spread from the book shown below. The properties are explored through lavish photographs and notes on the history of each project. An extended essay by Jonathan Bell, the former architecture editor for Wallpaper*, completes this very desirable package. You can pick up a copy for £24.95.